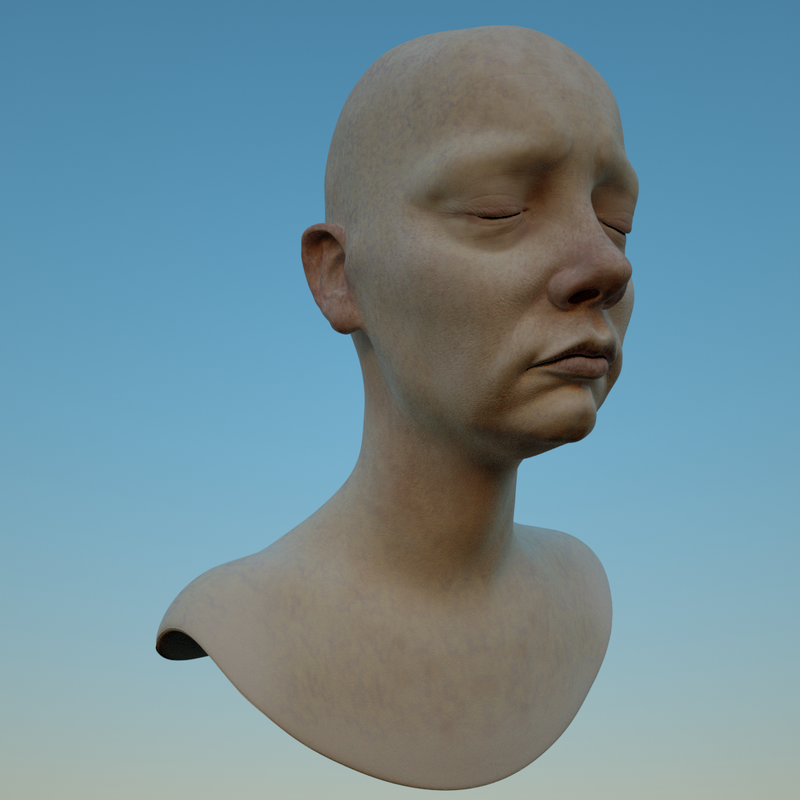 Highly detailed 3D female head model. A part of the series "Mia and her sisters" 6 OBJ files with texture (4096x4096) each OBJ file has different subdivision levels (from 7085 polygon to 7.200.000 polygon) that save you from decimation time. Subdivision 1 : 7.085 polys Subdivision 2 : 28.334 polys Subdivision 3 : 113.330 polys Subdivision 4 : 452.314 polys Subdivision 5 : 1.813.000 polys Subdivision 6 : 7.200.000 polys Sclupted and painted on ZBrush R47 p2 There is source file (Zbrush/4R7 - ZTL) in the archive that has 6 subdivisions. Preview renders are low res (1200x1200).